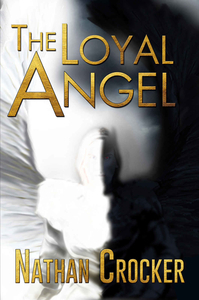 BELMONT, N.C., Jan. 29, 2019 /Christian Newswire/ -- "The Loyal Angel" is a Christian Fiction novel (364 pages) that tells the story of the creation of the world and the rebellion of Satan from the perspective of an angel who was there and must choose a side. "The Loyal Angel" is the next great Christian novel in the vein of "This Present Darkness," "Left Behind," and "The Shack." Mr. Crocker brings the characters of the Bible to life in a thrilling action-packed story that asks the question, "How did the rebellion of Satan and his angels unfold, and what consequences did that pivotal event have for mankind?" The epic story of the creation of the world and the rebellion of Satan as told by an angel who was there... and who must choose a side. When God departs Heaven to begin a new creation, the faith of the angelic host is tested. As tensions build in the Holy City, Malachi must choose a side, and the impact of that decision will have ramifications for all of God's creations, those in heaven and those on the new Earth. Available on Amazon for Kindle, Paperback, and Audible. Visit theloyalangel.com to watch the exciting new book trailer!